While we wait for spring and little green things to pop up on the desert, we can turn, like our foremothers, to our stored foods. For me, that is me that is the mesquite meal that I had ground by the Desert Harvesters big hammermills last fall. 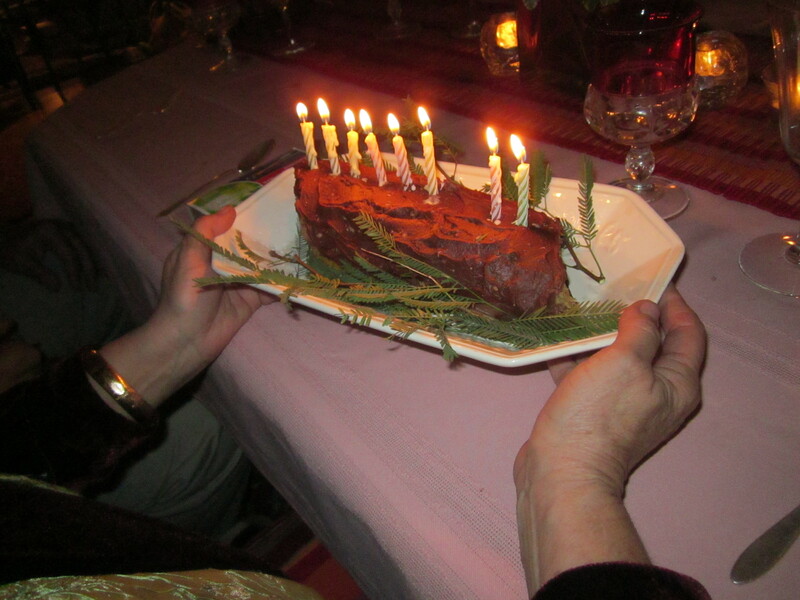 When a friend was going to celebrate her birthday dinner at my home, a mesquite log cake seemed like the perfect thing. It is one of the recipes that I repeated in Cooking the Wild Southwest from the earlier out-of-print Tumbleweed Gourmet because it is just so darned delicious. It’s easy to make, but the first time you read the directions, you might think “this can’t be right.” So I made a series of photos to demonstrate. 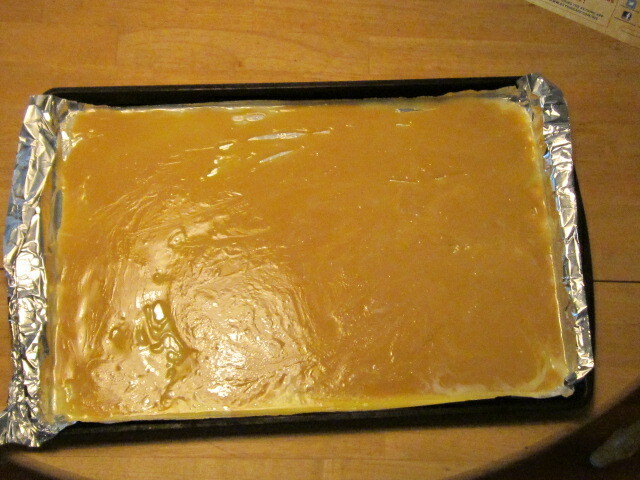 Butter and sweetened condensed milk. 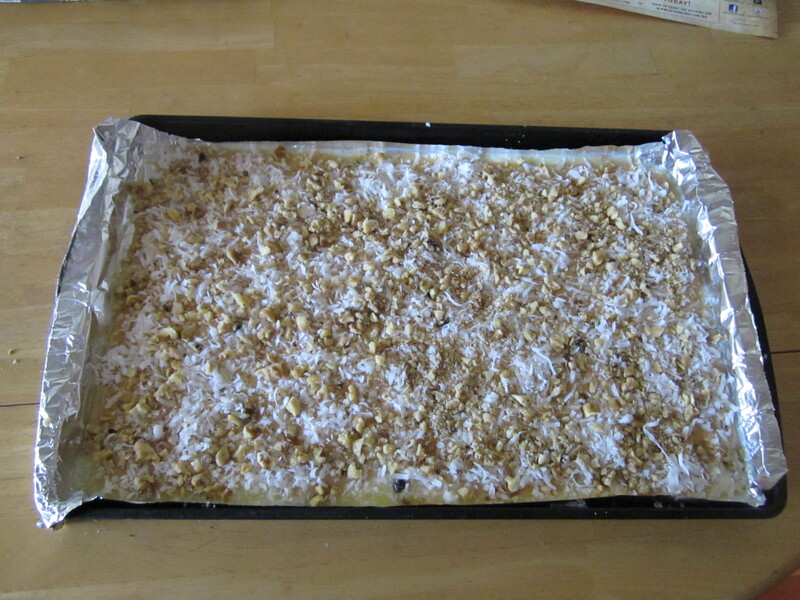 Next, evenly sprinkle 1 1/2 cups of flaked or shredded coconut and 1 cup chopped nuts on top. Layered butter, milk, coconut and nuts. In a blender beat 3 eggs at high speed. When frothy, add 1 cup sugar, 1/3 cup mesquite meal, 2/3 cup unbleached all-purpose flour, 3/4 teaspoon salt 1/4 teaspoon baking sodea, 1/3 cup water, and 1 teaspoon vanilla extract. Blend and pour on top of the coconut mixture. 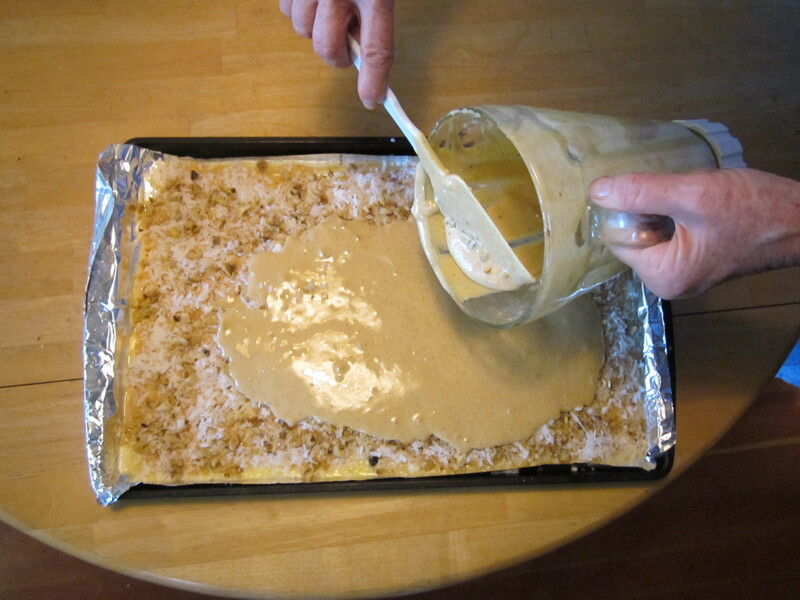 Pour batter on topping and spread evenly. 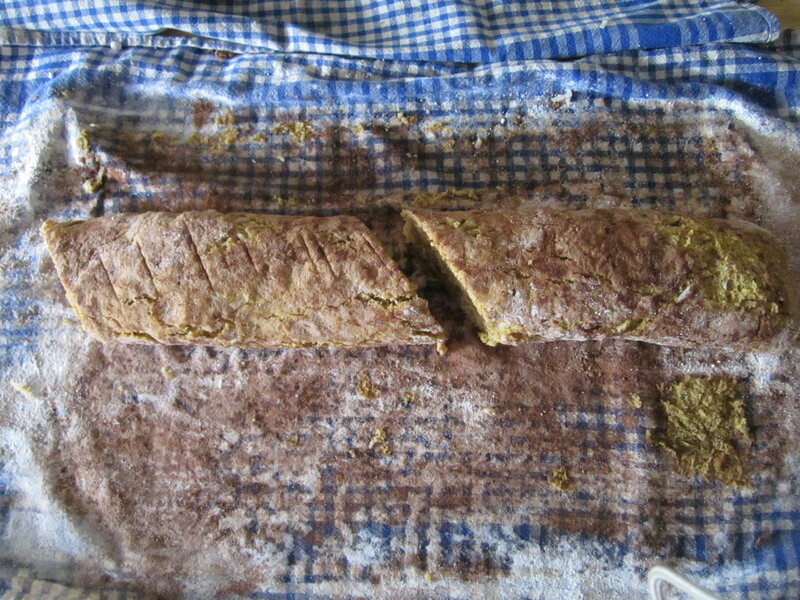 Bake in preheated 375 degree oven for 20 to 25 minutes. Watch carefully so the corners don’t get overbaked. 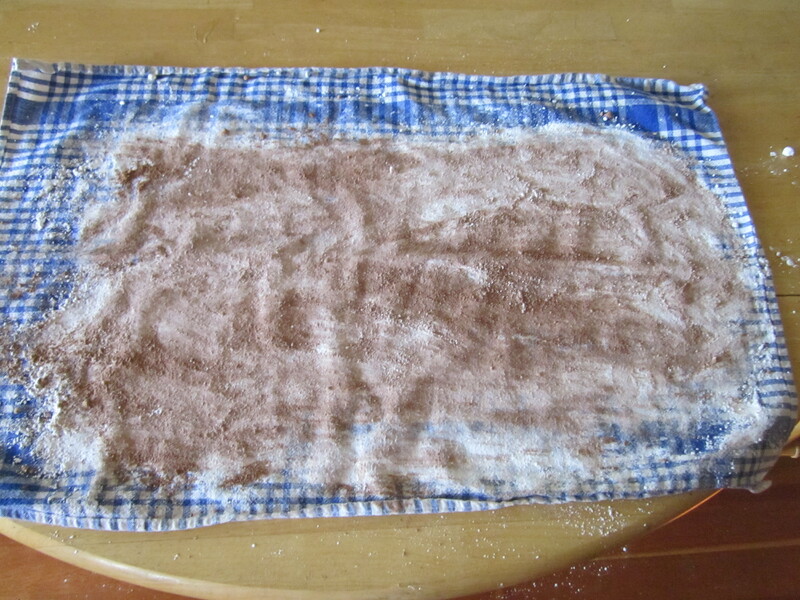 While the cake is baking, spread a clean, nonterrycloth dish towel on a flat surface and sprinkle with 1/4 cup powdered sugar and 1 tablespoon cocoa or carob as at left. 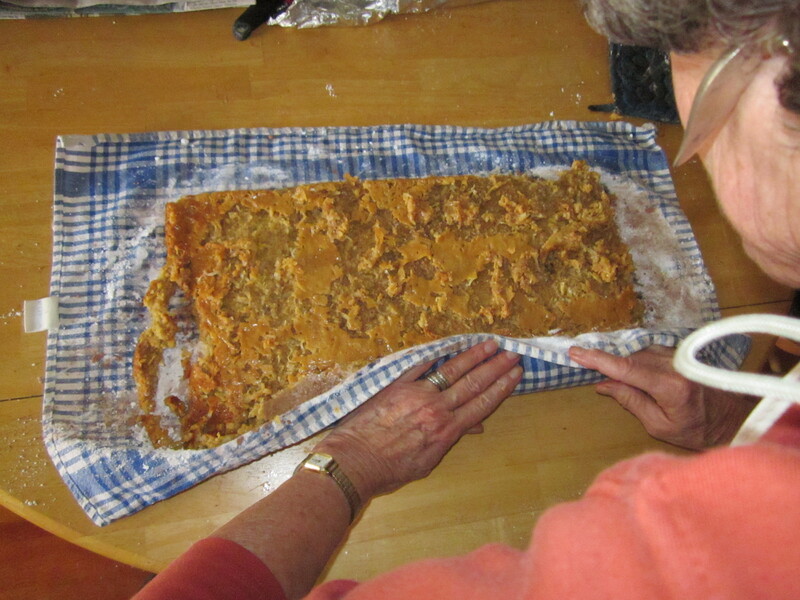 Tip cake onto the tea towel so cake is on bottom and the coconut is on top. 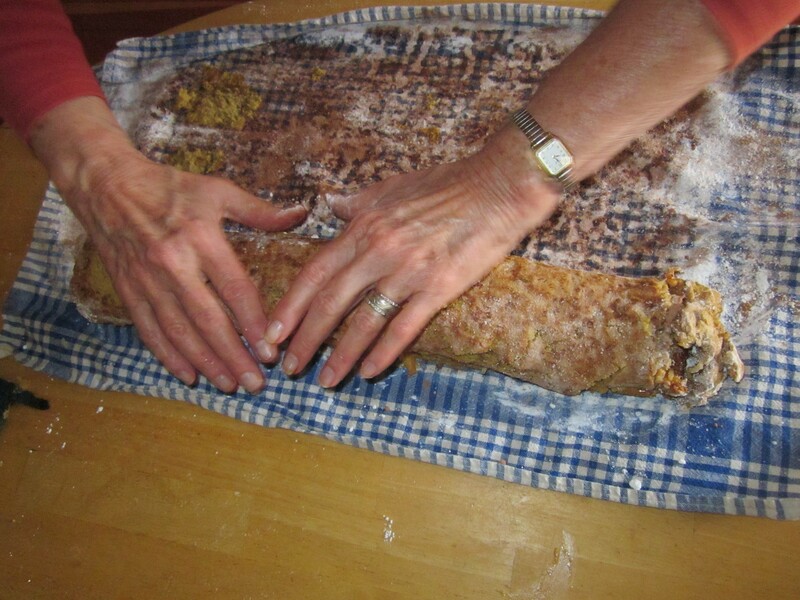 When the cake is done, invert it onto the tea towel, and using the towel, begin to roll it. Do this right away before it cools. 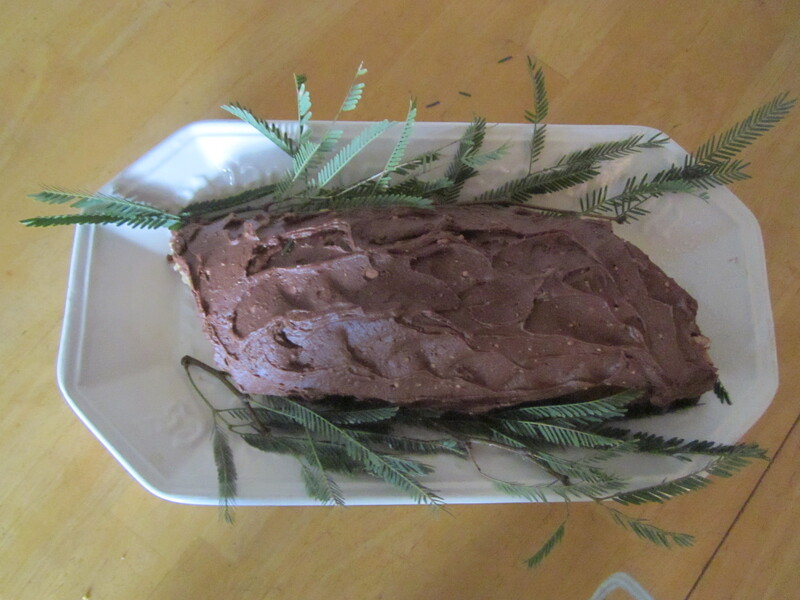 Frost with chocolate frosting swirling it to look like mesquite bark. Decorate with mesquite leaves. If it is a birthday, add candles and singing. Interested in more mesquite recipes? Check out my book Cooking the Wild Southwest for delicious mesquite recipes as well as recipes for 22 other easily recognized and gathered southwest plants. For a short video on some of the interesting plants you can gather, click here.